A fantastic opportunity to obtain a three bedroom semi-detached property offering immense potential, ideal for anyone looking for a project and a great investment. 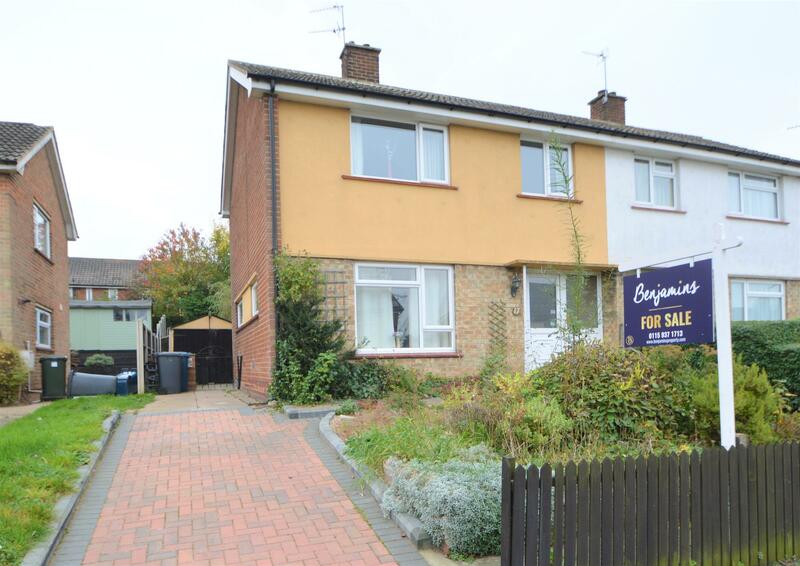 Benjamins are pleased to present for sale this three bedroom semi-detached, in the much sought after village location of Keyworth. The property briefly comprises; Entrance hall, Living room and kitchen to the rear with a separate utility room. To the first floor there are three bedrooms and a family bathroom with separate wc. The property also benefits from having NO UPWARD CHAIN, gas central heating, modern combination boiler, paved driveway with off street parking for several cars, garage and private rear garden. To really appreciate the potential of this property, a viewing is a must. UPVC double glazed window to front and side aspect, radiator, gas fire place with tiled hearth, pendant light fitting, TV point, telephone point, carpet. UPVC double glazed patio door onto rear garden and window to side aspect, sink with tap and drainer, larder cupboard, plumbing for washing machine, space for cooker and fridge freezer. UPVC double glazed window overlooking front aspect, power sockets, radiator, pendant light fitting, carpet. Fully tiled with bath and electric shower over, hand wash basin, UPVC double glazed frosted window to rear aspect. WC with UPVC double glazed frosted window to rear aspect. Front garden has a mixture of shrubs, paved driveway with path to the front door. Access down the side of the property to the rear garden. Th rear garden is laid mainly as a low maintenance patio with a pond, trees and large storage shed. Council Tax band B for Rushcliffe Borough Council. Energy Performance Certificate to follow.